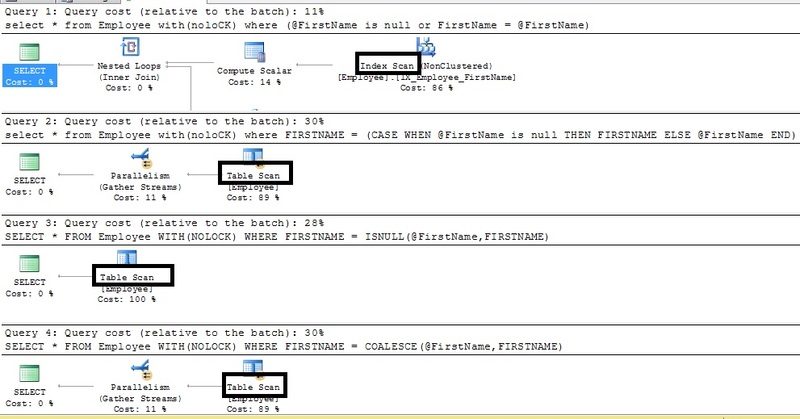 There are multiple scenario where usage of OR Clause or CASE statement in the WHERE Clause leads to Index/Table Scan instead of Index seek. In this article we will go through one such use case scenario. 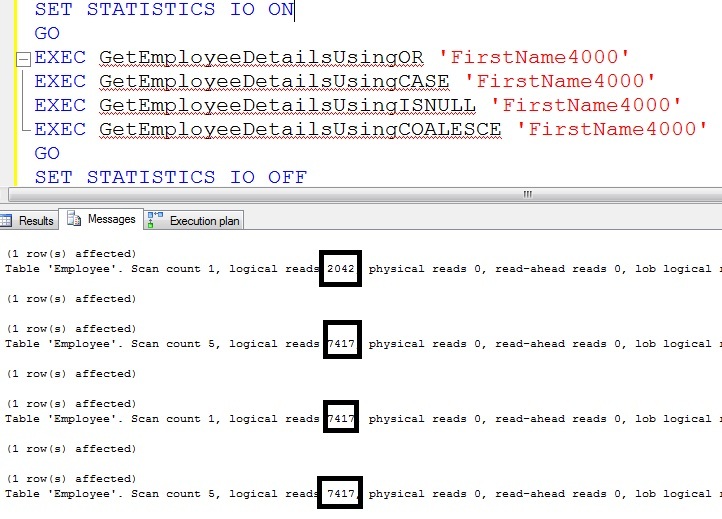 Script @ http://sqlhints.com/2011/08/27/index-misuse-script/ can be used to create the database and table used in this article. Need to write a stored procedure which returns all the employee details if input parameter @FirstName is not passed and if it’s values is passed then details of only those employees whose FirstName matches with input parameter value. 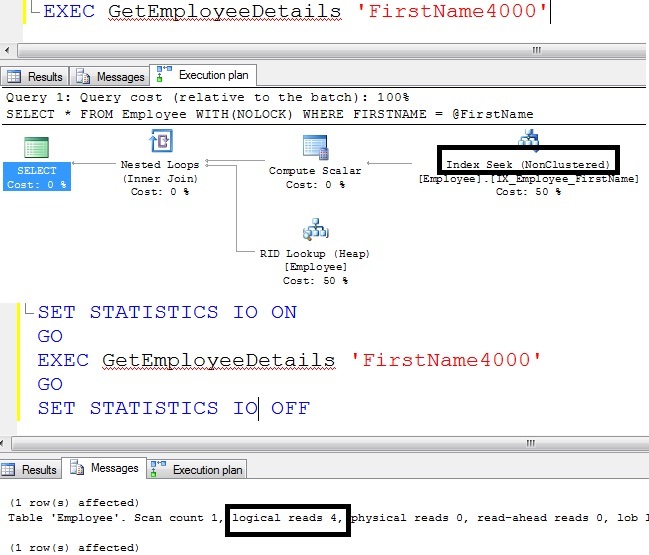 Now we will verify the execution plan of all the stored procedures for the scenario where we want to get the details of all the employees whose FirstName is ‘FirstName4000’, by using the statement listed below. In our employee table as we have index on the FirstName column and it has high selectivity, so ideally in this case it has to use Index Seek, but for our surprise it is using either Index/Table Scan. There are multiple workaround solutions to this problem i.e. we can create separate stored procedures one with parameter and another without parameter, use if/else etc. but it is difficult to maintain many if else and while debugging or fixing issue in such sp could not be difficult ?